This is another recycled sermon. I decided to reuse it partly because in the week before I preached it I’d had a funeral that took a lot of physical, emotional and spiritual energy; partly because it’s a sermon that I find I actually quite like when rereading it; and partly because when I preached it I was absolutely in the valley and I needed to be reminded that while there’s more to life than valleys, they are themselves a normal part of life. Today we celebrate the Transfiguration, the revelation of God in Jesus. It is, literally, a mountaintop experience, in which the separation of earth from heaven is overcome by the presence of Jesus. We know that we’re on the border of heaven because we’re on a mountain, the traditional site of revelations of God; because Jesus’ clothes have become dazzling white, the colour of light itself; and because Elijah and Moses, representing the prophets and the law, are present. 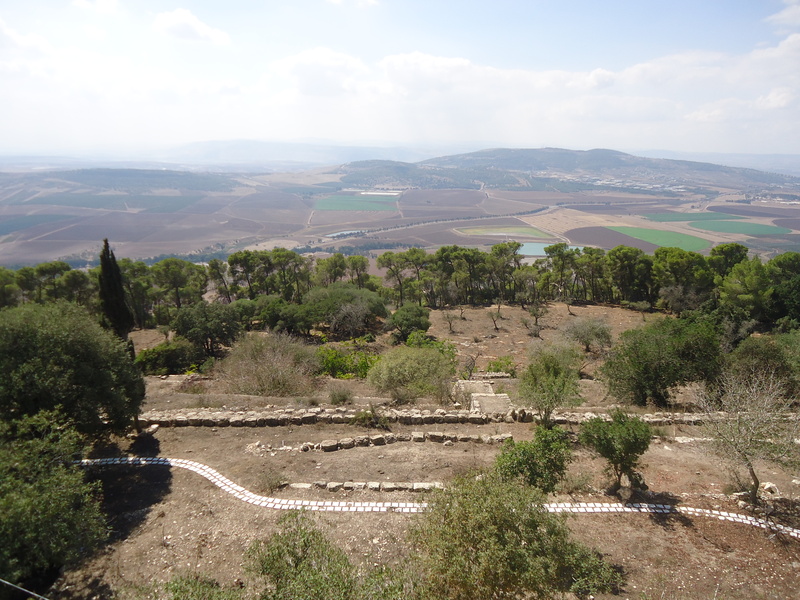 God spoke to both Elijah and Moses on a mountain (Exodus 24:17, 1 Kings 19:11-13); their presence here confirms for Peter, James and John that on this mountain they’re seeing God. Moses had to veil his face after speaking to God, but in Jesus the veil that normally hides God from human sight has been removed. Today we celebrate that theophany, that revelation of God, standing with Peter, James and John on the mountaintop. But I’ve preached on Transfiguration’s amazing theophany for the past two years, and so today I want to focus instead on the valleys. Because there are no mountains without valleys; there are no mountain-top experiences without hard times. Faith brings joy and certainty and celebration, but it also brings difficulty and doubt and sorrow. That’s something we often have trouble with. We think that our relationship with God should be all mountaintop, all glory and light and an intense sense of the presence of God. When there are shadows and doubts, when we can’t feel the presence of God around us, we think something is wrong, either with us, or with God. Instead, all that’s happened is that our journey of faith has taken us down from the mountain onto the plain, or into a valley. Fortunately, when we experience this, when for whatever reason God seems far away from us, we can turn for wisdom to the many Christians who’ve been there before. And so on, and so forth. I suspect that people, men and women, because there were also desert mothers, took to the desert in a fire of commitment and sacrifice, certain that there they would live close to God, experiencing God’s glory. But even those people who gave their entire lives up to worshipping and working for God found themselves experiencing times of isolation and spiritual dryness. The way to get through it, the desert fathers and mothers knew, was just to keep working and worshipping, not surrendering to the ‘demon’ of acedia by giving up their commitment. I just need to add here that when the desert fathers and mothers talked about acedia, they weren’t talking about what we now call clinical depression. Often the only way of dealing with depression is with medical and psychological, as well as spiritual, help. But acedia is a spiritual problem, not a medical one, and it’s one that can be overcome with the recognition that life is not all mountaintop, or even mountaintop and flat plains. Sometimes there are valleys, too. Then the senior devil, Screwtape, gives the junior devil, Wormwood, some advice on how to make use of the naturally occurring low periods: “Do not let him suspect the law of undulation. Let him assume that the first ardours of his conversion might have been expected to last, and ought to have lasted, forever, and that his present dryness is an equally permanent condition.” Then, says Screwtape, you can suggest that his faith was just a phase, and get him to give up on it, or that the lowness he’s feeling now is the way he should always feel and that his experiences of joy and his life-changing commitments were excessive. Maybe Screwtape and Wormwood have been successful. We don’t like any part of our lives to be mundane or boring or difficult, and we especially don’t like it in our faith. We want our relationship with God to be all mountain, all the time. 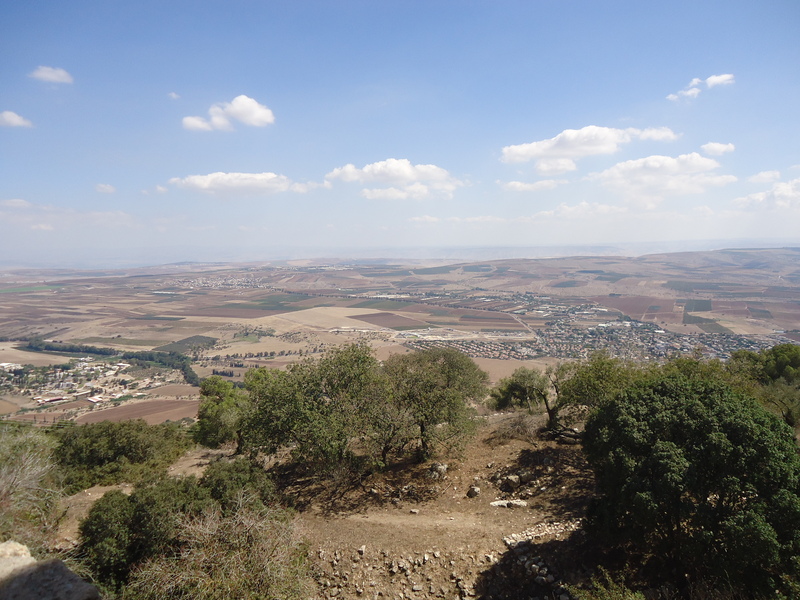 Up there on the mountain, Peter said to Jesus, ‘Rabbi, it is good for us to be here; let us make three dwellings,* one for you, one for Moses, and one for Elijah’, but Mark tells us that Peter didn’t know what to say because they were all terrified. They couldn’t stay on the mountain, seeing God in the glory that shone from Jesus. They had to come down from the mountain, and not just back onto the plain, but into the valley of the shadow of death. This was something that Elisha knew. The prophets kept reminding him that his beloved master was going to leave him, as though that should finish his commitment to Elijah. But instead Elisha remained, and experienced both the mountaintop and the valley in the same event: he saw Elijah ascending in a whirlwind into heaven; and he also grasped his own clothes and tore them in two pieces in mourning and sorrow. In the church year we celebrate the Transfiguration immediately before we celebrate Ash Wednesday, with its reminder that we are dust and to dust we will return. Before we get to the glory of the resurrection we go not only through the horror of the crucifixion, but through the forty days of Lent, days of dullness and dryness, days without flowers in our churches, days in which we give up otherwise insignificant items to remind ourselves that we can live without ‘things’. At theological college our Professor of Worship refused to light the Christ candle during Lent and when we asked him why, pointing out that God was still present in Lent, he said that otherwise we wouldn’t be properly able to appreciate the joy when the candle is lit again on Easter as the resurrection is celebrated. The highs and lows of the church year, the feasts and fasts and weeks of ordinary time, reassure us that it’s okay to have highs and lows in our faith. There will be mountaintop experiences. There will be valleys of shadow. Sometimes the living water will flow freely; sometimes it will seem that the spring has dried up. Those on the mountains can rejoice, without feeling superior about those whose relationship with God is for the moment less glorious. Those in the valleys can be comforted, without feeling that those on the mountains are being extreme in their faith. From the mountain on which Jesus, Peter, James and John stand, we can see the joy of the resurrection, when again the veil between heaven and earth will be taken away and in Jesus we’ll see the glory of God. But before we get there we have Ash Wednesday, Lent, Maundy Thursday and Good Friday. Highs, lows and everything in between. This is what life is like, and it’s also what it means to be Christian. Don’t let Screwtape and Wormwood convince us otherwise. This entry was posted in Sermons and tagged acedia, Mark 9:2-9, Sermon, Transfigutation, Year of Mark. Bookmark the permalink.